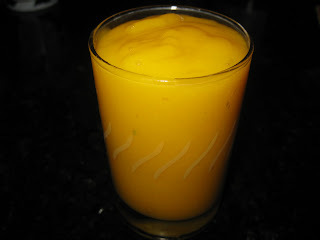 I am not at all a lover of mangoes (very anti-Bengali..... bengalis are known to be the hogger of mangoes) but few days back, I had this same juice and frankly, I liked the taste of it. May be it is the saffron. I love saffron. The other two juices mentioned by you....apple and pineapple..... I have them almost everyday as I love these two fruits. Tell me, can make apple pie and apple struddle?